The MCP3304 13-bit Analog to Digital Converter (ADC) features full differential inputs and low power consumption in a small package that is ideal for battery powered systems and remote data acquisition applications. The industry-standard SPI™ serial interface enables 13-bit ADC capability to be added to any PICmicro® microcontroller. 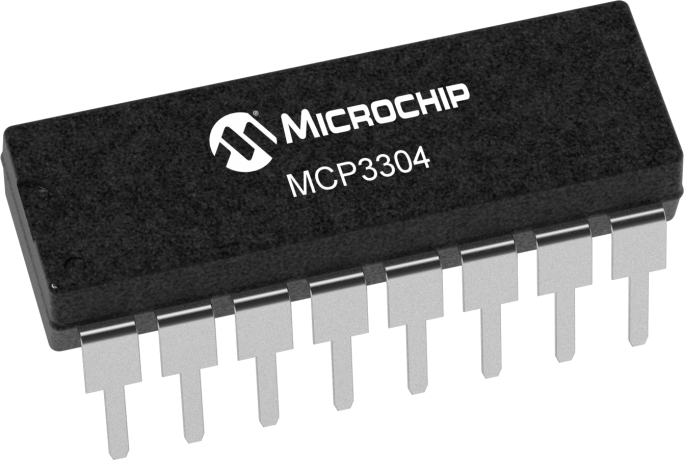 The MCP3304 features 100k samples/second, 1 input channel, low power consumption (300 nA typical standby, 450µA maximum active), and is available in 16-pin PDIP and SOIC packages. The full differential inputs of the MCP3304 enable a wide variety of signals to be used in applications such as remote data acquisition, portable instrumentation, and battery operated applications.